ATV-riding is a popular pastime around the country, enjoyed by people looking to take a fast ride over dirt roads and past the beaten path. Long Island is no exception, as many residents here choose to own and operate their very own ATVs. Riders are known to race across all sorts of surfaces, including speedways, dirt, hills, wooded areas, and sand; a healthy market of quads, motorbikes, three-wheelers, four-wheelers, and other off-road vehicles has sprung up in recent decades to cater to a wide variety of enthusiasts. Located in Calverton, this membership-based club allows members, friends, and invited guests to ride their dirt bikes, quads, and go karts, over several different tracks. On-site storage is available to vehicle owners, and those who would like to ride but down own an ATV can rent one when they come to visit. Hours vary by season and the track may close during bad weather, but it is open through most of the year. The Long Island Recreational Trails Conservancy is an organization dedicated to preserving and reestablishing natural open spaces for responsible use by ATV riders. Presently, LIRTC offers free safety training classes for those seeking lessons on how to drive an ATV safely and responsibly, and its facility in East Quogue is open for active user groups. All-terrain vehicles are small, usually single-person crafts which travel on two or more wheels primarily off-road and off highways. New York State law defines them as being no wider than 70 inches and no heavier than 1,000 pounds; motorbikes are considered ATVs and fall under the same regulations, but snowmobiles and other vehicles designed specifically for travel over snow and ice are considered a separate category. 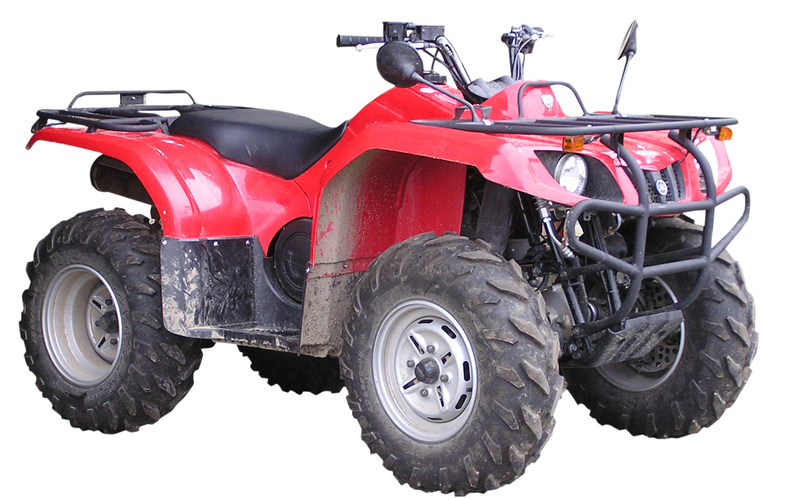 On Long Island, ATVs are not allowed to be taken onto highways or ridden in public parks. They are permitted on private property, but state law requires they be registered with the DMV and both Nassau and Suffolk County mandate that written permission from the landowner be carried when riding across property that does not belong to the rider.